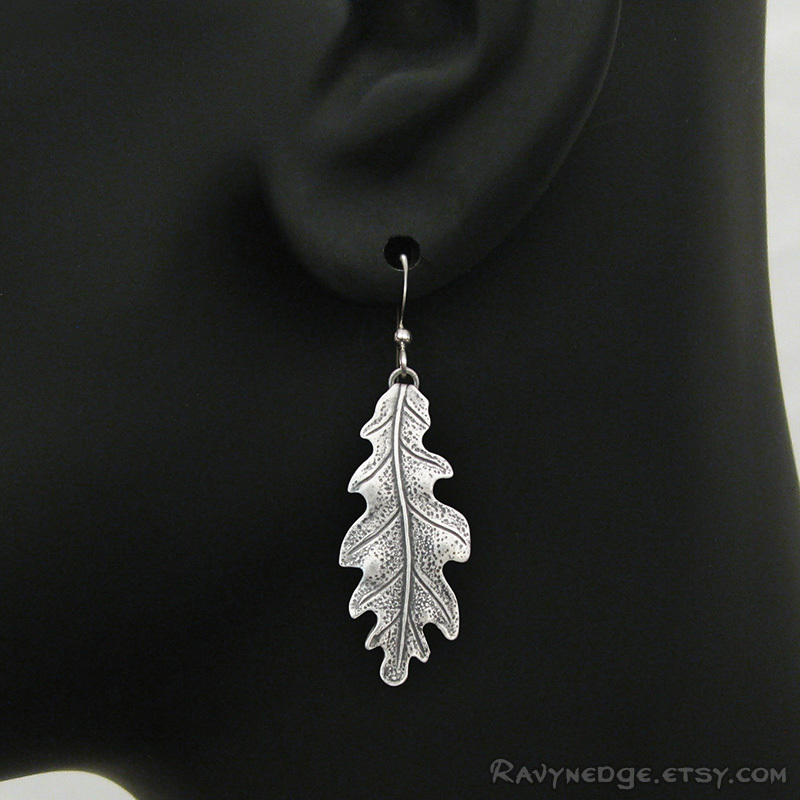 Druid's Treasure Earrings - Oak Leaf Dangle Earrings by RavynEdge. 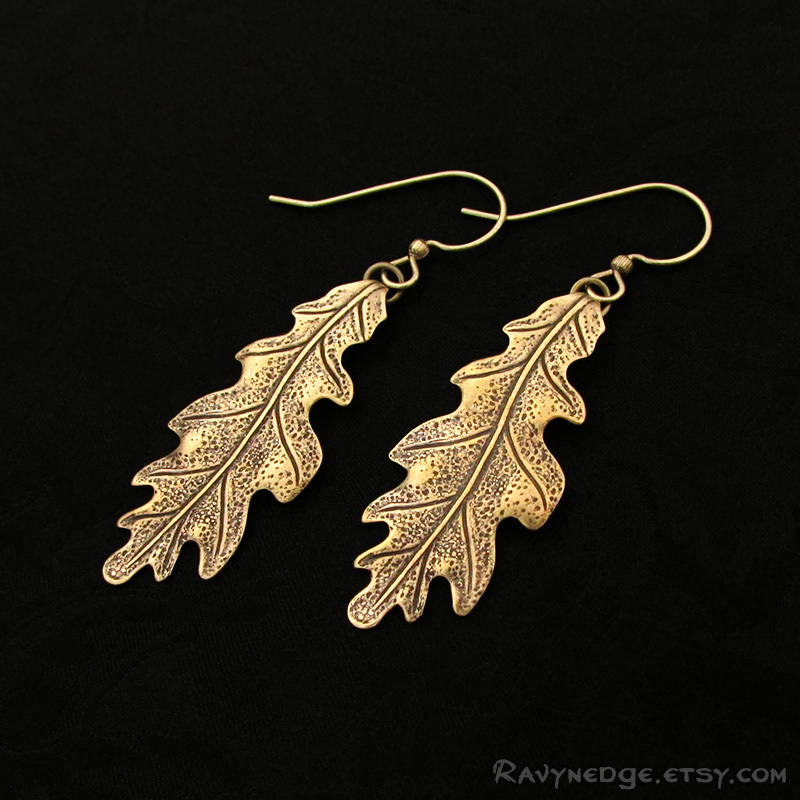 Druid's Treasure features distinctive brass oak leaf stampings with exquisite detail. 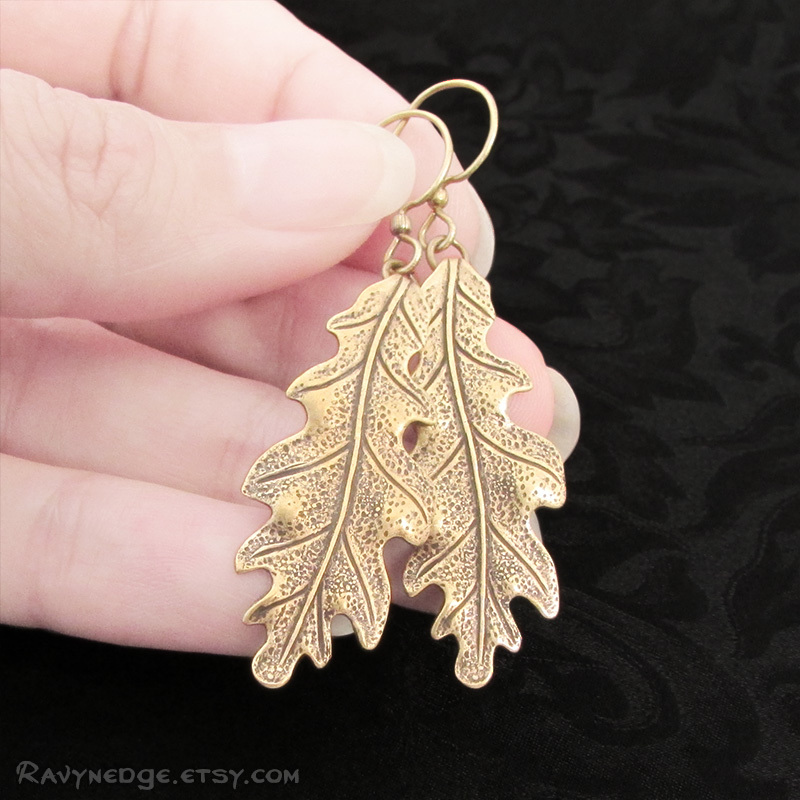 Made with quality brass oak leaf stampings created from vintage tooling, these beautiful nature inspired dangle earrings are lightweight and have great movement. 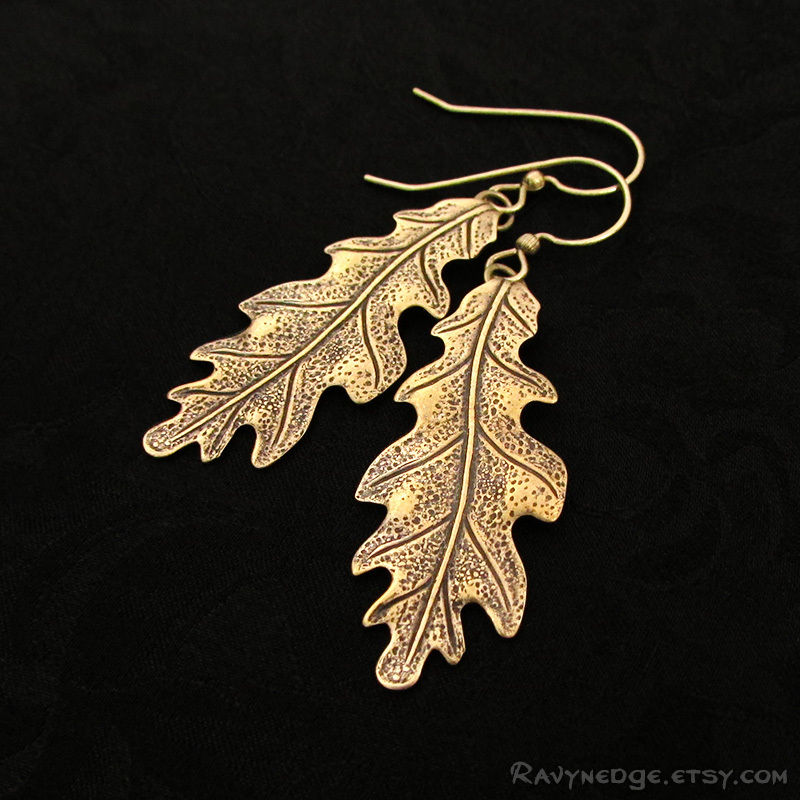 The leaves are brass or sterling silver plated brass, oxidized to bring out the amazing details. The ear wire is brass or surgical steel. 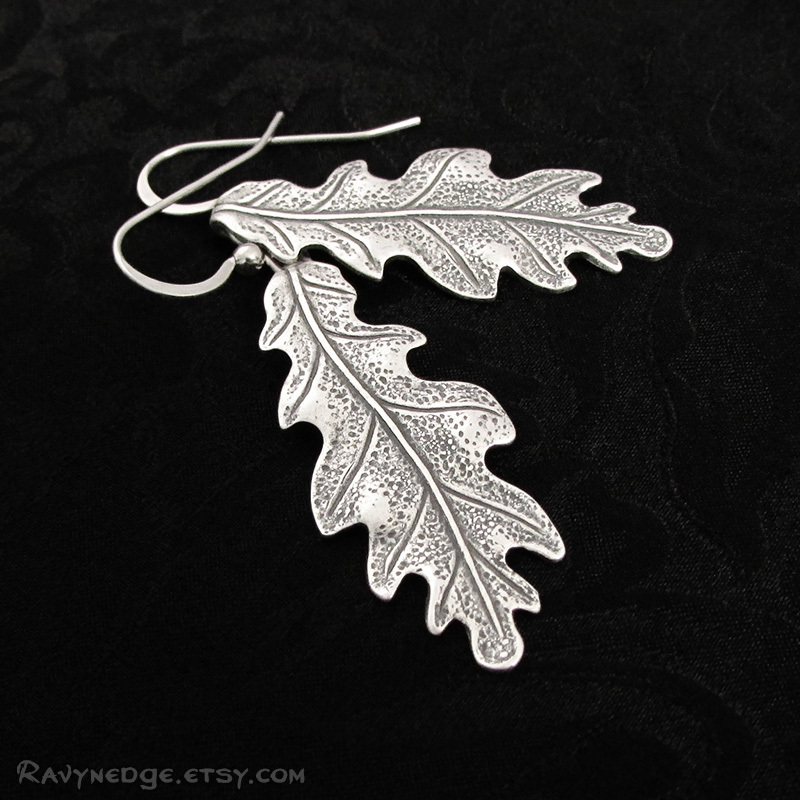 Measures approximately 2 inches (52mm) from the top of the ear wire. Includes a pair of 4mm clear hypo-allergenic poly-clutches which slip onto the end of ear wires to prevent loss.